Some of you may be familiar with the CBS TV series The Mentalist, starring Golden Globe nominee Australian Simon Baker. The lead character, Patrick Jane, is a consultant to law enforcement agencies who uses his carnival-honed powers of observation and human nature to appear almost clairvoyant. In a recent episode, Jane makes three trust-related comments. While prepping his co-worker (and lover) Teresa Lisbon how to behave in an under-cover job in prison, he gives her three pieces of advice. Jane’s insights show he’s a pretty good judge of trust as well. (Or at least the writers are). Most TV shows treat trust in fairly broad-stroke, big picture kinds of ways. For example, a cop might tell a fellow officer, “I can’t work with someone I can’t trust,” after having been lied to by the second officer. But that’s relatively mundane. What’s interesting about the Patrick Jane character is that he grasps some subtleties about trust. He “gets” the advanced version of trust, if you will – as is totally appropriate for the character’s persona. On the face of it, truth and lies are the province of credibility – the first of the four elements in the CRI/S Trust Equation. But many truths and lies, over the course of time, affect reliability, the second element. The drip drip of lies, even small ones, is a double-whammy. One “mistake” can be excused or forgiven. But a pattern of lies is more than the sum of the individual untruths. It is the difference between a series of lies told, and a teller of lies – a liar. 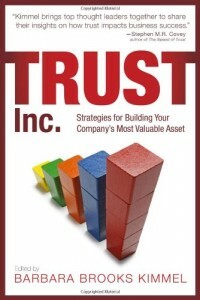 Trust relationships are based on an iterative series of risk gestures. Consider a handshake. The one who proffers the hand to shake is the trustor, the one who first takes the risk. 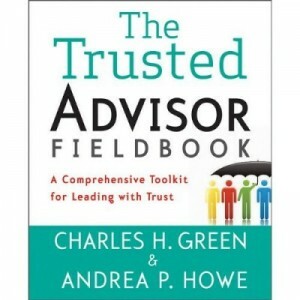 The other person is the trustee; if they return the handshake, the level of trust goes up a tiny fraction. What this is about is vulnerability. Being vulnerable makes one available to relationships – and trust is above all a relationship. Note the one taking the risk is the one initiating trust; this runs counter to the usual image of trust as being about risk mitigation. The reciprocal exchange of risk gestures is the template of trust creation. While we usually think of doing someone else a favor as risky, Jane is quite right that the asking of a favor is also a form of risk. If done sensitively, sincerely, and infrequently, asking someone a favor is a form of flattery. It shows the asker has such respect for the other that he is willing to suffer the embarrassment of refusal. It is a form of risk-taking. It demonstrates vulnerability. Vulnerability drives risk, which initiates the formation of trust. There is no trust without risk.